In Fall of 2013, I took a Stanford d.school course entitled, "ME 101: Visual Thinking," which is widely known as the course that sets the foundation of the Mechanical Engineering and Product Design departments at Stanford. For this class, we embarked on three different Design Projects throughout the quarter with our team. Build early, think fast, be resourceful, ask questions, and always generate as many ideas as possible. For each design project, I filled a log-book with hand-drawn sketches of design ideas, which reflect my Visual Thinking process throughout the quarter. I'd like to share some of these sketches with you now. Build the highest tower possible, within the time (3 minutes) and the materials (limited amt. of foam-core, rubber bands, red cups, hot glue, pencils) allotted. Build a ball-launching machine. You may pull or cut a string to start your machine -- after that, you cannot touch it. The machine shall wait 3 seconds, then move 1 yard, then stop for 3 seconds, then place a ping-pong ball into a launching device, then wait 3 seconds, then launch the ball through a goal post 1-yard tall, then wait 3 seconds, then perform some type of "celebration." 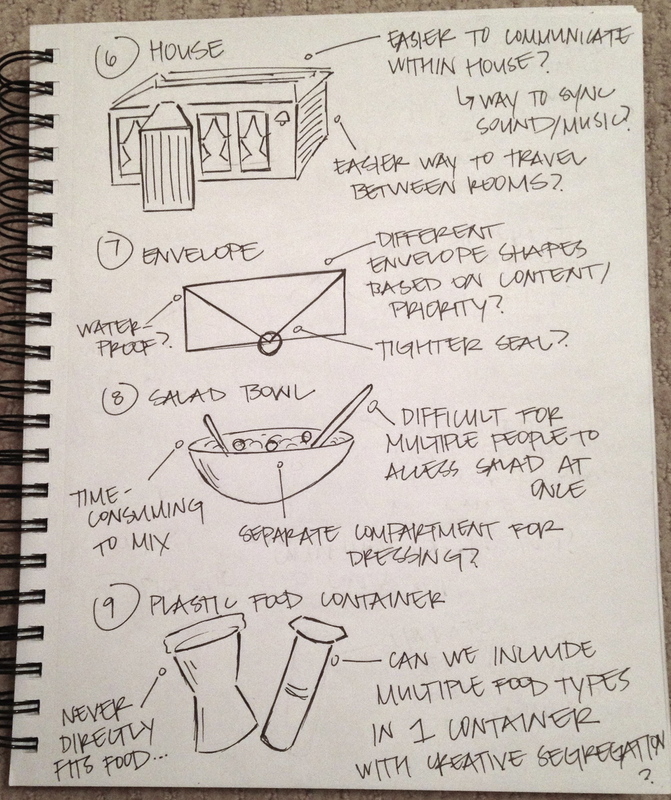 Brainstorm 100+ product design ideas within the category of "containers." 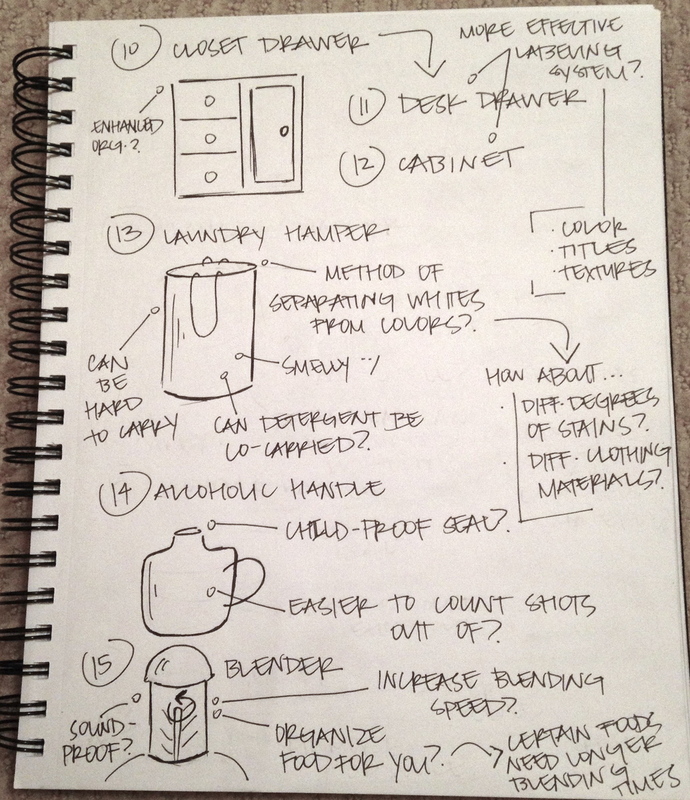 Pursue 3 of those in depth and create storyboards to demonstrate your need-finding process. Finally, choose 1 idea to flesh out completely.